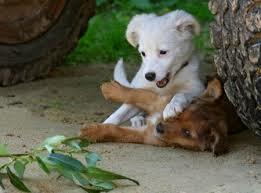 You may think that socialization training for your new puppy is about getting along with other canines. In fact, it’s about much more than that. The world can be a scary place for a puppy and that can lead to some awkward situations. One of the best ways to make life easier for you and your pet is to ensure the puppy training involves exposure to all sorts of things. In the long run, you make it possible for your pet to feel less defensive and more comfortable around other animals, people, and objects. When’s the Right Time to Begin the Process? 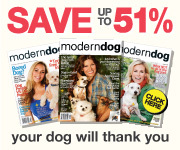 There’s a definite window of opportunity when it comes to pet socialization. 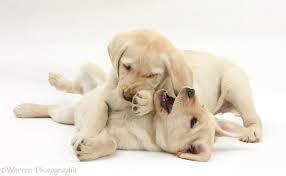 Your new puppy will usually be ready to begin the process around three weeks of age. This golden chance to help mold the behavior patterns of your pet will generally last until around three months of age. Before you start taking your pup out to socialize with people and other dogs, be sure that they have all of their shots and vaccinations taken care of. 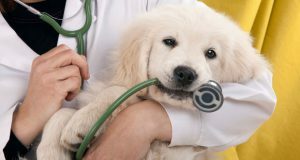 Talk to your local vet to find out when your pup should start receiving its vaccinations and when the appropriate age is for your puppy to begin socializing. most responsive to the puppy training, there’s still time to help the pet get comfortable with more people, places, and things. What Sort of Socialization Needs to Occur? One of the more important aspects of the socialization must focus on getting along with other living things. This means people as well as other animals. Even if you don’t have more pets in the home, think about the pets that live in the neighborhood. Do you want your puppy preparing for battle every time the dog next door approaches the fence between the two properties? Wouldn’t it be better if the two got along and maybe even played by running up and down the fence line together? Getting used to other people is also important. Untrained puppies are likely to fear people wearing hats, dressed in uniforms, or may even be somewhat leery of anyone of a certain gender. During the training period, exposure to people in different clothing and of different genders is a must. Make sure the meetings take place in an environment the pet considers safe. Instead of seeing the other person as a threat, they are more likely to find relatives, friends, and mail carriers as acceptable humans. The third aspect of socialization has to do with getting used to things. 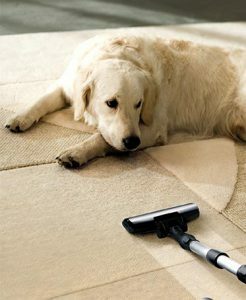 Puppies can develop aversions to things like water hoses, vacuum cleaners, and even drinking bowls. They may also exhibit a tendency to fear the sound of a shower running, not care to go out when it’s raining, or consider stepping on frost-covered grass to be unacceptable. The right type of training makes it possible to overcome those fears by helping those objects become familiar. Instead of attacking the vacuum cleaner when it’s in use, the puppy will tend to move out of the way and settle down for a nap in another part of the house. When your puppy is ready, the dog park makes for a great place to meet other dog owners. You can also look into pet meet-up groups to help build your pup’s social circle. Remember that socialization is not just about your pet. You will likely learn a few things about canines that you never knew before. In a sense, both you and your puppy will be subjected to a measure of training. Embrace the chance to learn more about how to incorporate the new puppy into the family and life around the house will be more harmonious for everyone.